Hypocrisy isn’t scarce in economic debates. But its extent in some industries can be staggering. And rarely more so than when aluminium smelter operators get involved in debates about electricity policy. Australia acquired a large aluminium industry on the back of the oil price increases that crippled Japan’s smelters in the 1970s. 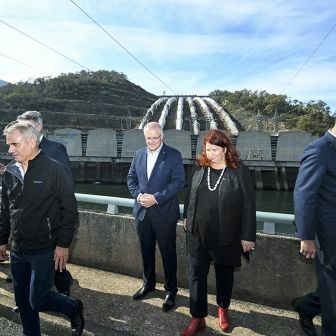 Companies were attracted here by the offer of cheap electricity from new generators, which had been encouraged by federal treasurer Phillip Lynch. 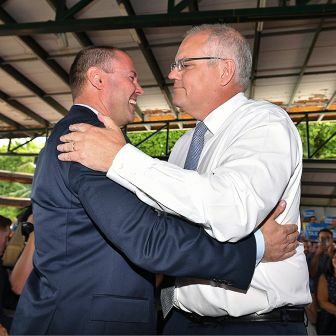 In effect, state governments were encouraged to borrow with Commonwealth backing and then compete with one another to offer the lowest-cost power. In Queensland, the obvious candidate to set up an aluminium smelter was Rio Tinto, which had been trying to establish bauxite mining operations at Weipa since 1957 and had set up an aluminium refinery at Gladstone a decade later. Boyne Island smelter, the largest in Australia, took shape from 1977; despite a weak global market for aluminium, a consortium headed by Comalco (a Rio subsidiary) was in place by 1979. The first potlines at Gladstone smelted alumina from the nearby refinery in 1983. Also opened in 1983 was Tomago Aluminium’s smelter in the Hunter Valley of New South Wales, part-owned by Rio Tinto. 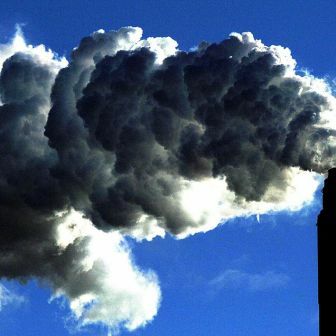 With backing from CSR and the French company Pechiney, Tomago beat off a BHP-led consortium that had also planned to base its operations in the Hunter, close to the state’s major coal-fired power stations. These days, Tomago is said to account for 12 per cent of NSW electricity consumption. While the NSW deal was swung in quiet negotiations between premier Neville Wran and Pechiney’s Xavier Nosten, Rio’s operations in Queensland had been shadowed by controversy right back to 1970. 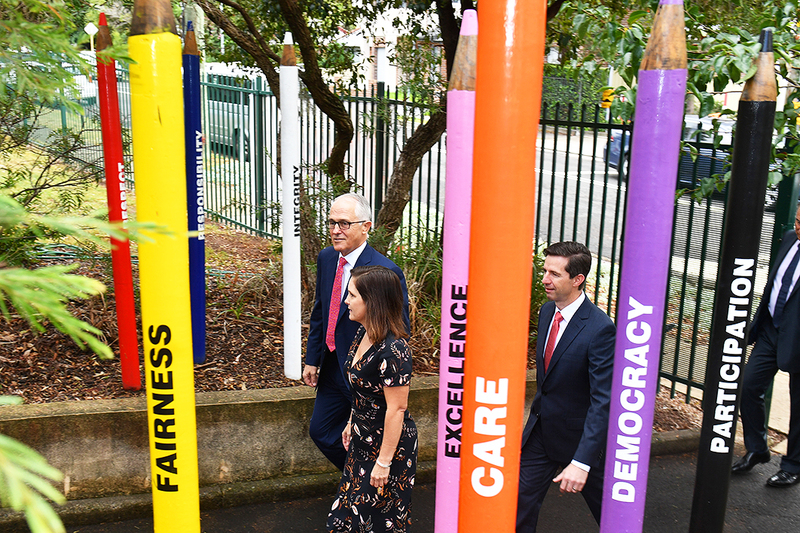 That was the year state parliament first debated how a Comalco share issue had been taken up on preferential terms by a number of cabinet ministers and senior opposition politicians. But the most publicly controversial deal was Victoria’s. There, backed locally by Western Mining Corporation, Alcoa reached an agreement with the Hamer government’s state development minister, Digby Crozier, in 1978. Alcoa chose to site its new smelter in Crozier’s electorate at Portland, on the South Australian border. 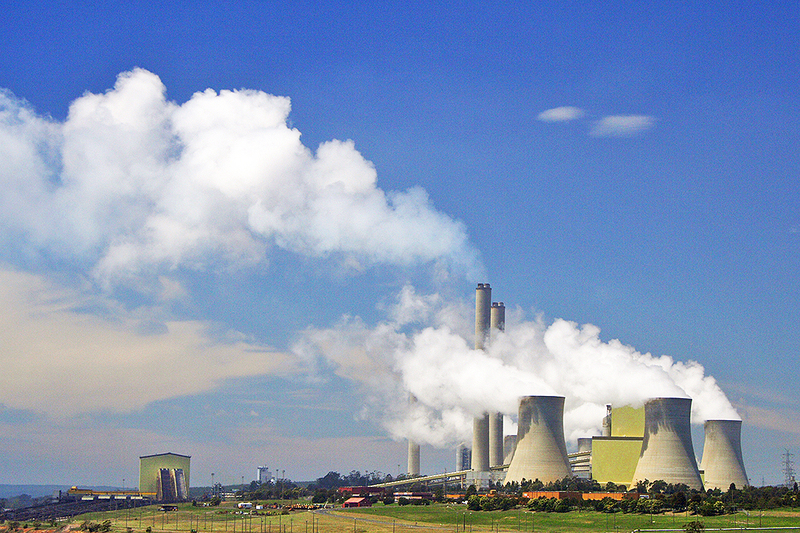 Critics of the deal, notably state Treasury, highlighted the cost of locating a power-intensive industry so far from Victoria’s coal-fired power stations in the Latrobe Valley, east of Melbourne. But there was an even bigger cost problem. Unlike deposits in New South Wales and Queensland, Victoria’s coal was of very poor quality. And unlike its northern neighbours, Victoria had no easy way of significantly increasing the supply of electricity. To meet such massive new demand, it had to build very large new turbines. Yet Crozier offered prices based on the prevailing cost of power in Victoria. When the details of Alcoa’s deal leaked, power pricing and the overall bill for taxpayers fuelled a controversy that ran through to the 1982 state election, which saw a heavy swing deliver government to John Cain’s Labor Party. Labor took a close look at Crozier’s deal but quickly discovered that Alcoa was on strong legal ground. Unable to change the terms of the contract, cabinet sought to decorate the pig with some lipstick by taking a notional profit share based on plainly optimistic aluminium prices. A decade later, when Labor was itself tipped out in a heavy swing to Jeff Kennett’s Liberals, the new government’s Commission of Audit reported that the thirty-year life of Alcoa’s deal would cost Victorians billions of dollars. Treasurer Alan Stockdale tried to follow up with a renegotiation, but to no effect. When Kennett and Stockdale privatised Victorian power stations and other assets, they obtained extremely high prices. The subsidy to Alcoa stayed on as a $114 million annual charge to consumers. In 2010 Alcoa signed a supply contract for power to 2036 with Mitsui, the then owners of Loy Yang A power station. Remarkably, the subsidy was topped up with another $240 million in 2017 after the original bulletproof Alcoa contract expired and the company began talking about closure. Gladstone power station was brought online in 1976; the Queensland government approved an expansion two years later, and in 1995 the power plant was privatised. (Rio Tinto is now part-owner.) Boyne Island smelter began construction in 1979 and opened in 1982. New South Wales’s Eraring Power Station came on stream in 1982, a year before Tomago Aluminium began operations. (Eraring is owned now by Origin Energy.) Loy Yang A’s four electricity turbines were commissioned progressively from 1984 to 1988, and the Portland smelter came online from 1986 to 1988. In other words, Australian governments financed large increments of power supply in the 1980s to meet the demands of aluminium companies for new smelters. The pricing of power and other terms were secret — and largely remain secret — except for the Victorian deal. Victorian government decisions effectively maximised the public cost of subsidising aluminium, to a total of $4.5 billion on some estimates. 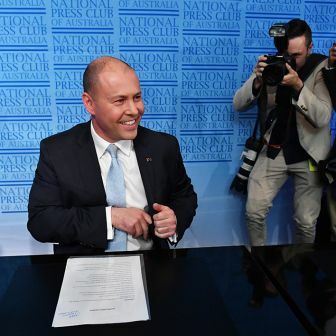 But New South Wales and Queensland also built new power stations in line with what were (and are) very large claims on their grid — and power prices increased unexpectedly and very significantly in the years that followed. Amid the hubbub of rhetoric over energy policy, the economic frailty of aluminium smelting seems not to get a mention. Yet we know that, in an industry dominated globally today by Russian and Chinese operators, subsidies are deeply entrenched. We also know, because it has happened, that governments are willing to overlook the economics and give smelter operators even more public cash, Alcoa’s 2017 deal being the prime example. There is no reliable way to forecast when power stations run out of useful life. Wallerawang, in New South Wales, closed in 2015 after thirty-eight years’ operation. Yet Redbank, in the same state, was shut down in the same year after only thirteen years’ service. One sign of where we are headed with ageing plant was this year’s tightness of supply in New South Wales, when units at five NSW generators went down for maintenance. Tomago Aluminium was forced to accept several days’ downtime. Smelters need to operate around the clock, so that incident naturally provoked Tomago management — who naturally blamed renewables. According to Tomago chief executive Matt Howell, Australia’s energy system is at a crisis point because it is losing baseload generation needed for heavy industry. “This is a direct result of renewable energy hollowing out the baseload generation in this country,” he told the Australian. There’s another way of putting that argument: no one wants to build baseload, coal-fired generators. Of course, Australia’s aluminium smelters could deal with the problem by buying or building their own supply. The bulk of Rio’s power comes from its own power station, yet Boyne cut production and staff in 2017 after a jump in spot-market electricity prices. Boyne had earlier rejected a fixed-price power contract, saying it was too high. It would seem clear, from what Alcoa has done and what Rio is saying about Tomago and Gladstone, that the largest consumers of coal-fired power in Australia do not have a sustainable commercial case for investment in their essential input: coal-fired power.